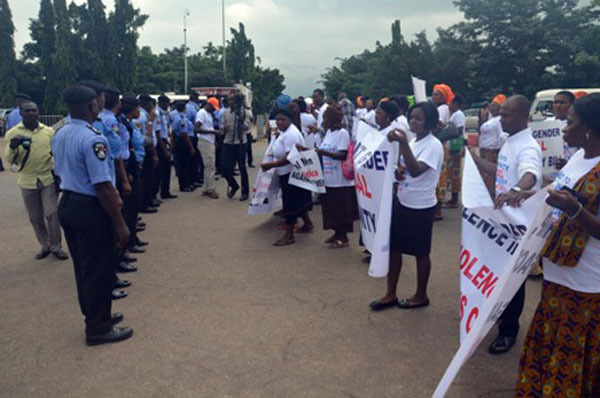 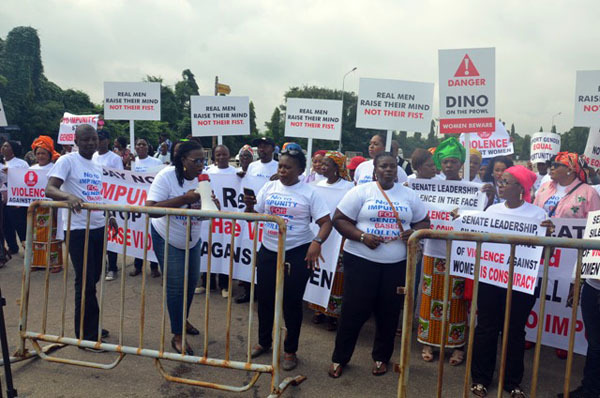 Some women (and men) protest against the Chairman, Senate Committee on Federal Capital Territory, Dino Melaye (APC-Kogi West). 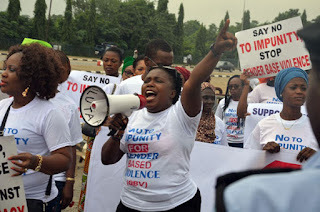 This is coming after the senator alleged on Monday, that wife of former Lagos state governor and Senate Committee Chairman on Women Affairs, Oluremi Tinubu (APC-Lagos Central) “splashed” N75 million to sponsor protests against him in the FCT. 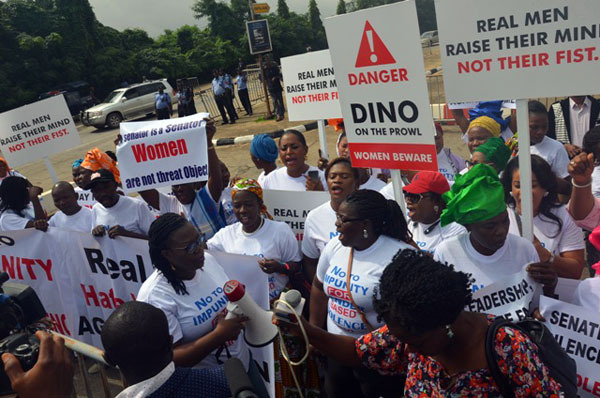 Crisis began after Tinubu reportedly called Dino a “dog” and a “thug” during a closed-door session. Dino, according to reports, reacted, saying that he will “beat up” and “impregnate” Tinubu and nothing will happen. 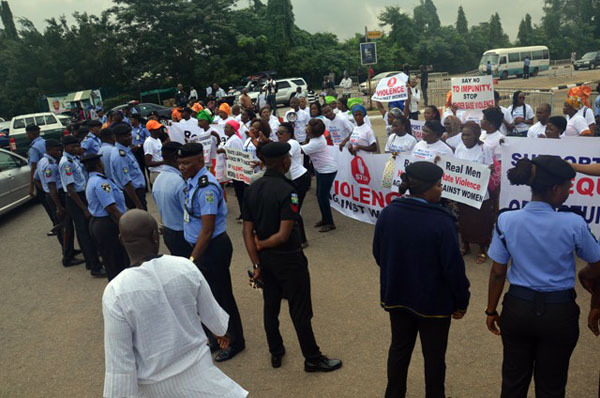 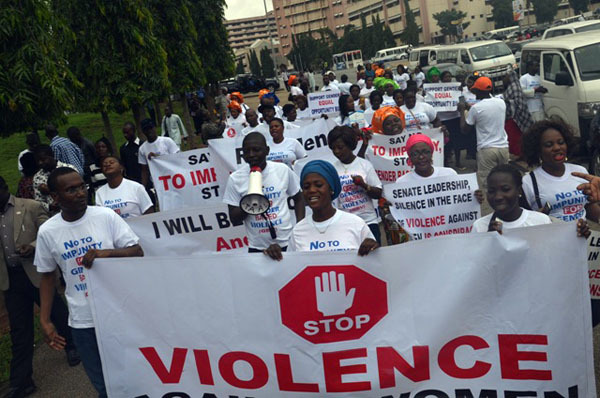 The protesters are seen with placards and banners which read: “Say no to impunity, stop gender based violence”, “Danger! 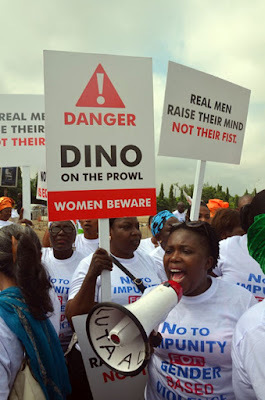 Dino on the prowl, women beware”, “women are not threat objects,” among others. The protesters were on all white tops with the words: “No to impunity for gender based violence,” printed on them.